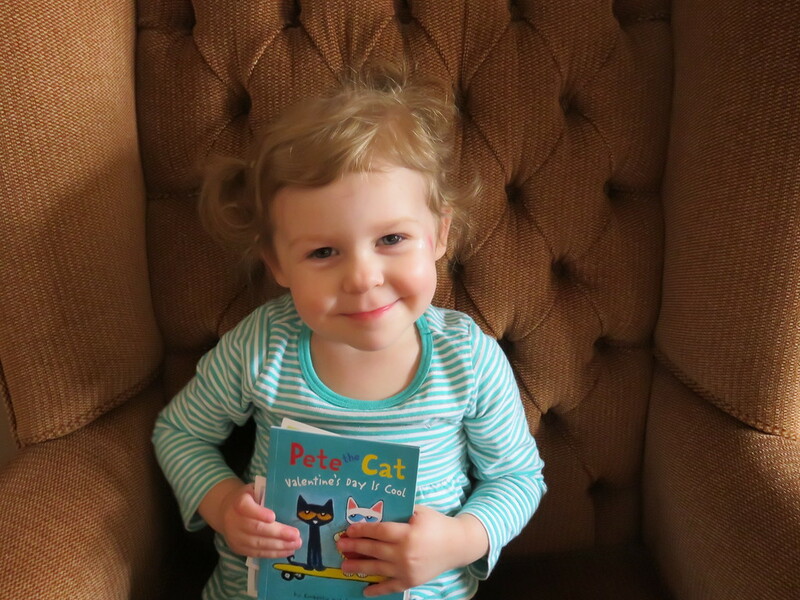 M's Favorite Books - Age 2.5 Mama Say What?! | Mama Say What?! M loves to read. She “studies” every night with Daddy after her bath, and it is their bonding ritual that we are thankful for. At a little over two-and-a-half years old, she knows almost all of the colors in her color books, can count to 25 (with some missing numbers, some of them are hard to say), and can use her Magna Doodle to draw shapes she has learned in her shape book. C is only nine months and we hope he likes to read as much as she does. Right now, he would rather destroy her room and cruise around instead of listen to their reading sessions. He did pick up a puppy book the other day, so here’s to hoping! 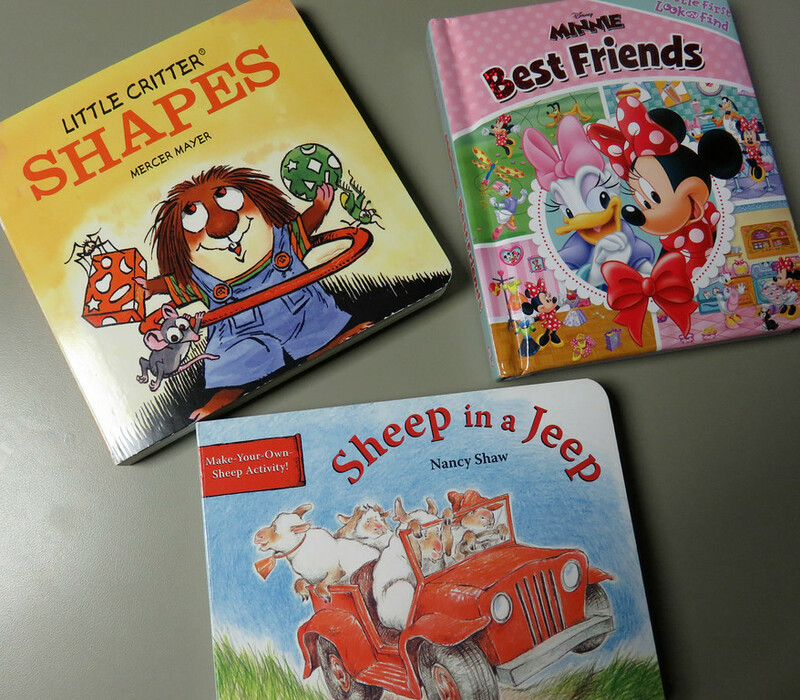 Sheep in a Jeep by Nancy Shaw – The sheep are pretty funny and go on quite an adventure driving around in a Jeep. She enjoys explaining what happens on each page. There aren’t a lot of words, but the pictures tell a great little story. Little Critter Shapes, Colors, and Numbers by Mercer Mayer – These are three separate books – We are all fans of Little Critter and Bernstein Bears. 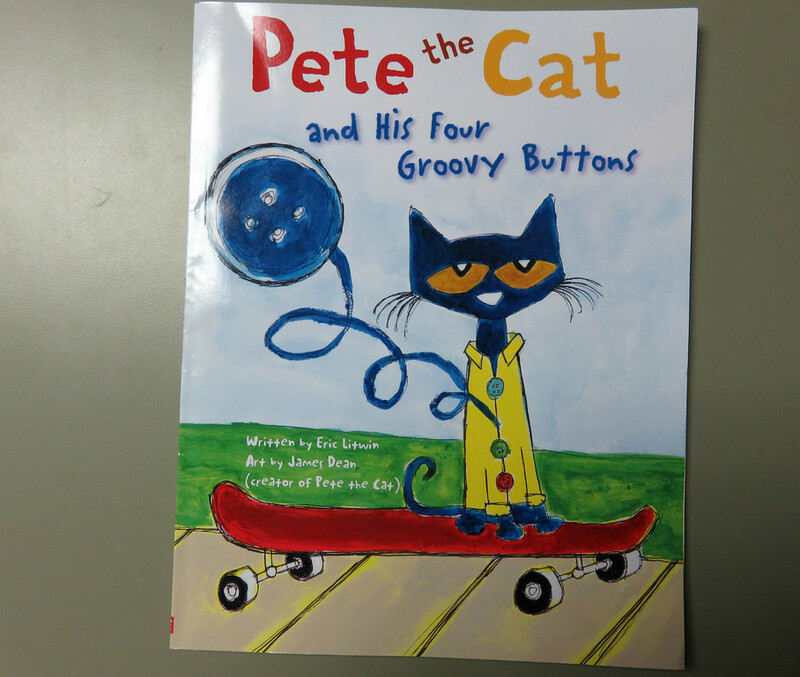 Besides the simple fact that Little Critter is an adorable little critter boy, the pages are very colorful and filled with not only one shape and one color, but the whole page is filled with many of the same shape to search for, or many different every-day items of the same color. M loves to find Little Critter’s friend grasshopper and cricket on each page, as well. Minnie Best Friends Little First Look and Find by Disney – Minnie is a staple in our house. This is a more advanced version of a look and find all centered around Minnie, her Bowtique, and her friends. M loves the bright colors and finding Minnie’s Bowtique dresses. 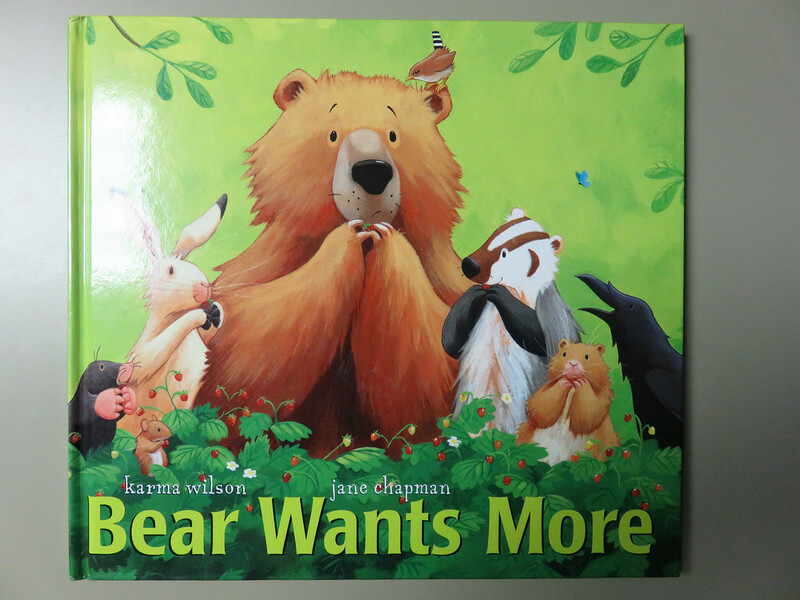 Bear Wants More by Karma Wilson and Jane Chapman - Bear Wants More is about a bear who eats EVERYTHING in the book and, of course, wants more. This is another catchy book where she knows when “Bear wants more.” is coming up in the story line. Added by Sarah K. on February 1, 2017.